“If you do not like what you’re seeing, please share it,” Kevin Gilbert says, narrating a video he filmed with his phone and broadcast live on Facebook. 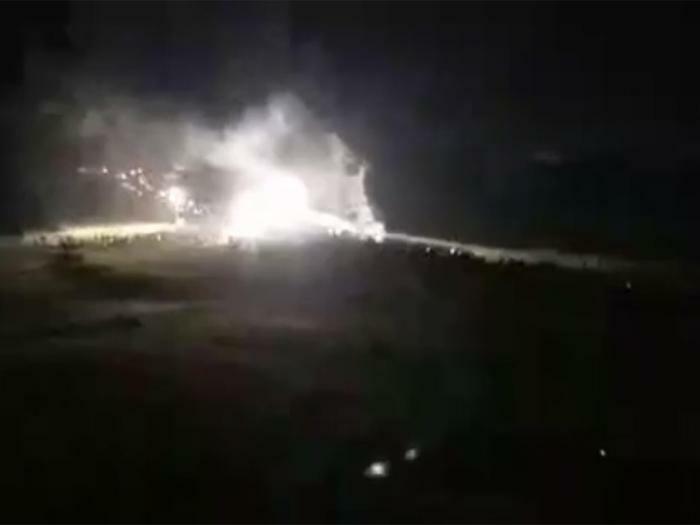 It turns out that many people didn’t like what they saw the night of November 20, when activists trying to remove a barricade near the Dakota Access Pipeline's contested site on Highway 1806 were met with water cannons wielded by law enforcement officers. Gilbert's footage alone was shared hundreds of thousands of times -- by protesters, by news media, by the webpage of U. S. Senator Bernie Sanders -- racking up 3.9 million views. "I felt like that was my role, to help the world see what was really happening, because every story you saw in the mainstream press was about violent protesters," Gilbert tells ConsumerAffairs. Sure enough, North Dakota police were doing damage control the following day, with Morton County Sheriff Kyle Kirchmeier holding a press conference to defend the department’s tactics. “Some of the water was used to repel some of the protest activities that were occurring, and it was used at a time where they were aggressive toward officers,” he told reporters. His department further characterized what the Standing Rock Sioux have said was a peaceful, prayerful gathering as an "ongoing riot." When faced with questions about Sophia Wilansky, the woman whom witnesses and her father allege lost her arm due to a police grenade, the Morton County Sheriff’s department denied firing concussion grenades into the crowd or causing her arm injury. “It wasn’t from our law enforcement, because we didn’t deploy anything that should have caused that type of damage to her arm,” sheriff’s spokeswoman Maxine Herr told the Los Angeles Times. Yet footage from that night, uploaded to YouTube one week later by Myron Dewey, a filmmaker with a knack for drone photography, shows an explosion rising from the direction of the police barricade and charging toward a large crowd of people. Receiving an email linking to the YouTube video, “Nov 20 Police use Percussion Grenades,” has not changed the department’s stance. “The Morton County Sheriff’s Department DID NOT fire any ‘percussion (or concussion) grenades into the protesters,” Morton County Sheriff’s Department spokesman Rob Keller responds in a brief statement via email. Tech-savvy photographers on the front lines of the Dakota Access Pipeline fight have been instrumental in challenging the official narrative of events and calling the tactics of the Morton County Sheriff’s Department into question. On a freezing afternoon in North Dakota, shortly before the Corps of Engineers announced that it would deny a key easement under Lake Oahe for the Dakota Access Pipeline, Jerry Anderson scrolled through his laptop outside, using the hood of his car as a desk. For work, Anderson is the vice president of a medical supply company in California. But, being the vice president, he is able to travel to North Dakota in his spare time to investigate the Dakota Access Pipeline with his drone. "Today is the first day we're legally allowed to fly again," he explains. The unmanned aircraft that some photographers use to capture the happenings at Standing Rock were the target of legal battles as well as literal targets. 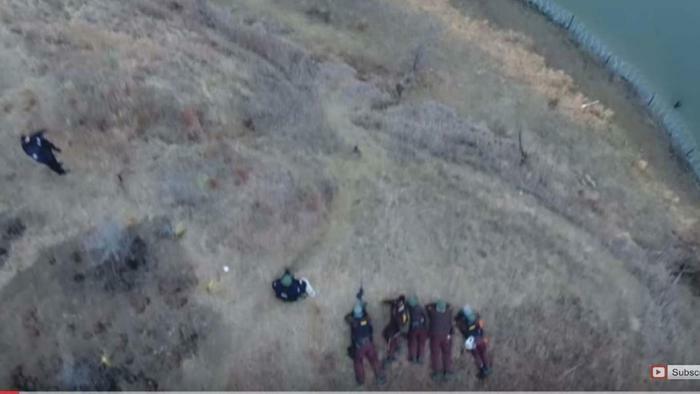 Though drone photographers at Standing Rock have complained for months about law enforcement shooting at their aircraft, some people are willing to risk that fate. One of the most popular Facebook accounts publicly covering Standing Rock via drone photography belongs to Dr0ne2beWild Photography and Video. An image he recently shared to the public shows officers in the hills, while what they are doing is a matter of debate. 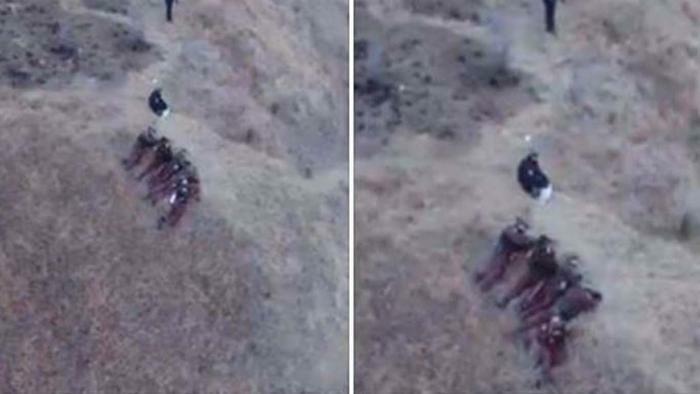 “These are pics of the Morton county that had snipers pointed at the protectors down below...So I drone in and catch em shooting the P4 multiple times with a shotgun," wrote Drone2BeWild Photography & Video in a public Facebook post on November 28. But public footage claiming to support such accusations had been sparse until recently. A law enforcement expert contacted by ConsumerAffairs supported Keller's assertion. Retired LAPD Deputy Chief Stephen Downing, now a board member on Law Enforcement Against Prohibition, agreed to review the images and said the officers do not appear to be snipers. “Usually with a sniper you see the long gun and the tripod and usually one observer. What some of those guys might be doing is looking through binoculars...but I don’t really see in my opinion that it's a group of snipers of any kind." ConsumerAffairs then sent Keller a link to a YouTube video, called "POLICE SHOOT DRONE AT STANDING ROCK," uploaded by the site DroneGear on December 2. The contents of the video are exactly what the title suggests. One early clip in the film again shows officers sitting in the hills, and one officer is pointing something. Because drones are considered aircraft under aviation regulations, shooting a firearm at one would be a federal crime. “It's illegal to shoot down an aircraft," FAA spokeswoman Elizabeth Cory says in an email to ConsumerAffairs. "There is some latitude in the event a law enforcement officer acts out of concern for personal safety, but all such incidents are still subject to investigation." But the weapons the officers used to shoot at the drones at Standing Rock, Keller says, were “less-than-lethal." The Morton County Sheriff’s Department also requested from the FAA and was subsequently granted several temporary flight restrictions, barring people from flying their drones at certain times and giving officers another line of defense. “Drones can be neutralized if they are deemed to be a danger to officer safety and/or harassing," Keller adds. "In one instance a drone was flying over Turtle Hill so low that an officer reached out and grabbed it! Another one was shot down as it came within 50’ of a helicopter." The FAA’s press office says they are aware of only one official report of a drone being shot down by police -- with a bean bag. "That incident is still under investigation," the agency spokesman writes to ConsumerAffairs. 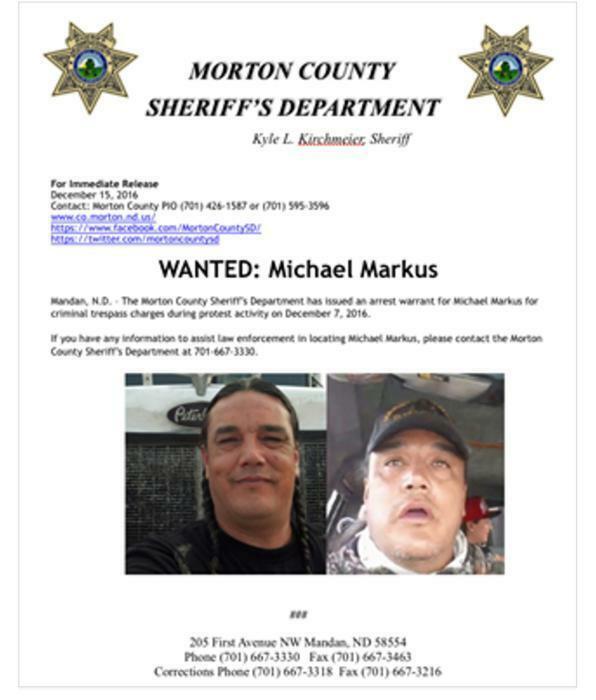 “WANTED: Michael Markus” The wanted poster was published on the The Morton County Sheriff’s Department official Facebook page last week. The charges described are short on detail -- “criminal trespass charges during protest activity on December 7, 2016." The two photographs included in the Wanted poster are both taken from the wanted man's own Facebook page -- one photograph is his main, default portrait, and the other is a screenshot of him talking to the camera. Like many others at camp, Markus often records live videos in which he describes daily life at Oceti Sakowin to the general public. It's "Wanted" posters like these that have led attorneys to warn water protectors that police can and will use Facebook photographs to obtain arrest warrants. Dewey is a Native American professor and photographer from Nevada who has been documenting what he describes as numerous civil rights violations by the pipeline operators and law enforcement. His camera of choice is his personal drone. Most recently, Dewey published drone footage on Sunday, capturing the contested site near Lake Oahe. Equipment is still there. The water protectors say they will not leave until the equipment is gone. "My job is just to be neutral and just to document as accurately as I possibly can,” Dewey says. Remaining a neutral investigator may be difficult as Dewey himself faces misdemeanor charges. Back in October, two private security officers working for the Dakota Access Pipeline told police that they saw Dewey’s drone fly near them. “Both security officers stated they were in fear for their lives and their families’ lives because the drone was possibly live streaming video to social media,” says an affidavit. Dewey was charged with stalking. “The only charge I’m facing is documenting the Dakota Access mercenaries,” Dewey tells ConsumerAffairs. Rather than discontinue flying, the charges have only empowered Dewey. The Facebook page where he regularly posts his work, Digital Smoke Signals, has amassed 80,000 followers. He says he is currently using his footage to help the hundreds of activists who have been arrested -- "right now we're in the process of trying to debunk the felonies” -- and is also teaching classes on drone photography and First Amendment rights. In addition to the Wanted posters featuring protesters' Facebook photographs, The Morton County Sheriff’s Department Facebook page has also begun posting its own footage of the Standing Rock protests and arrests. A video uploaded on December 9 shows officers arresting three men walking along the contested barricade on Highway 1806. "It appears that this event was deliberately staged by the protesters,” says the Sheriff’s office Facebook post. “This is concerning in that there appears to be a lack of leadership oversight at the camps,” Morton County Sheriff Kyle Kirchmeier is quoted as saying.